Restoring Public Integrity, Political Accountability And Democratic Rights Of The People To Choose Their Elected Representatives. In a statement made yesterday, Rural and Regional Development Minister Datuk Seri Mohd Shafie Apdal said that the administration of states under Pakatan Rakyat is merely based on the strong foundations built by the Barisan Nasional (BN) government for 50 years. DAP 2012 Merdeka Day Message by DAP Secretary-General and Penang Chief Minister Lim Guan Eng in Kuala Lumpur on 30 August 2012. For Malaysia To Win The Future We Must Not Only Invest In Human Talent But Also Implement People-Centric Policies That Match Ability And Opportunity. As Malaysia’s celebrates our 55th Merdeka celebrations, the critical question is how can Malaysia escape the middle-income trap and become a high-income and developed economy by 2020. The 2012 Wealth Report, recently released by Knight Frank and CitiPrivate Wealth, identified the key drivers of growth as human capital, a dynamic business environment, capital mobility, openness to trade and foreign direct investment. Minister in the Prime Minister’s Department Nazri Abdul Aziz is wrong for saying that the Penang government’s proposal to enact an ‘anti-hopping’ law, saying it goes against the principle of freedom of association with any party guaranteed by the federal constitution. Penang’s proposed amendment to the state constitution to approve an anti-hopping law is not about freedom of association but about breach of public trust as well as betrayal of basic principles of representative democracy and accountability. After all BN does not provide full freedom of association whens it banned certain organisations and even certain trade unions from being established. Freedom of association gurantees the right of any citizen to leave or join any political party he or she desires. Twenty years has passed since the Malaysian courts opened the floodgates to political defections and “allowed frogs and tadpoles to be bred recklessly” among elected representatives in Malaysia by permitting the foundation of democratic governance in our country to be threatened by corrupt inducements of cash and political favours. In the 1992 case of Dewan Undangan Negeri Kelantan v. Nordin Salleh, the Supreme Court led by Tun Hamid Omar upheld the decision of High Court Justice Eusoffe Chin to strike down a provision of the Kelantan Constitution that required State Legislative Assemblymen, if they quit their party, to seek re-election by the voters who elected them. Since that decision, the people of Malaysia have suffered as democratically-elected governments in Sabah (1994) and Perak (2009) have been overthrown through underhand means in defiance of the will of the people expressed at the ballot box. In both of these cases the very parties rejected by the people of Sabah and Perak in the preceding general elections have been brought back to power against the will of the people, and without the voters of those States having being given any say in the matter. Perutusan Hari Raya Aidilfitri 2012 Oleh Ketua Menteri Pulau Pinang Lim Guan Eng Pada 18 Ogos 2012 Di Komtar, George Town. Dividen Anti-Rasuah Yang Membolehkan Program Bantuan Perumahan Pulau Pinang(HAPPY!) Sebanyak RM 50 Juta Untuk Memperbaiki, Menaiktaraf dan Memulihkan Rumah Pangsa Kos Rendah Dan Sederhana Rendah Memastikan Suatu Perubahan Besar Dalam Kualiti Hidup Rakyat. Dividen anti-rasuah yang membolehkan Program Bantuan Perumahan Pulau Pinang atau Housing Assisted Programme of Penang, YES! (HAPPY!) sebanyak RM 50 juta untuk memperbaiki, menaiktaraf dan memulihkan rumah pangsa kos rendah dan sederhana rendah pasti akan memastikan suatu perubahan besar dalam kualiti hidup rakyat. Ini adalah kali pertama mana-mana kerajaan negeri di Malaysia menjalankan suatu program sistematik untuk rumah pangsa kos rendah(di bawah RM42,00) dan sederhana rendah(di bawah RM72,500). 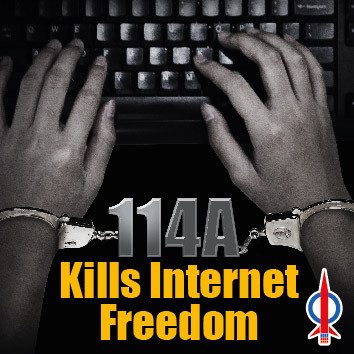 All BN MPs Must Prove Their Sincerity By Immediately Apologising For Their Complicity In Passing Section 114A Of The Evidence Act By Revoking Not Reviewing It At The Coming Parliamentary Meeting Beginning On 24 September 2012 Or Risk Being Exposed As Political Fraudsters To Deceive The Voters During The Coming General Elections. 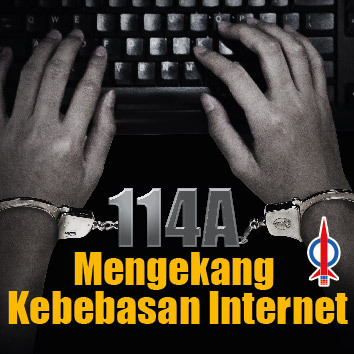 Last night, Prime Minister Dato’ Sri Najib Tun Razak tweeted that he has asked the Cabinet to review the controversial Section 114A of the Evidence Act 1950. This is another back-flip by Najib and his BN government seeking to reverse what is undoubtedly a grievous error that is unjust and irrational piece of legislation following outrage and popular protest by civil society movements and opposition parties. Press Statement by DAP Secretary-General and MP for Bagan Lim Guan Eng in Kuala Lumpur on 13.8.2012. Sabah’s Newly Formed Royal Commission Of Inquiry’s(RCI) Into Illegal Immigrants Getting Citizenship Is A Sham And A Meaningless General Election Exercise To Hide The Loss Of Confidence In Sabah BN After The Defection Of A Deputy Minister, A MP And A Senator Who Were All Upset At Being Cheated By BN For The Last 25 Years. Prime Minister Dato’ Sri Najib TunRazak has recently formed a Royal Commission of Inquiry (RCI) on Sabah’s illegal immigrant problem and suspicious population boom in the last two to three decades. Led by the former Chief Judge of Sabah and Sarawak Tan Sri Steve Shim,its main task will be to investigate if foreigners in the state have been unlawfully awarded Malaysian ICs or citizenships and subsequently included in the electoral roll. Press Statement by Penang Chief Minister Lim Guan Eng in Komtar, George Town on 7.8.2012. RM100,000 Incentive Award To Dato Lee Chong Wei For Being The First Malaysian To Win 2 Silver Olympic Medals And For His Heroic Efforts In The 2012 London Olympics As Well As Encourage Him To Go For Gold In 2016 Olympics. The Penang state government will give a RM 100,000 incentive award to Dato Lee Chong Wei for being the first Malaysian to win 2 silver Olympic medals and for his heroic efforts in the 2012 London Olympics as well as encourage him to go for gold in the 2016 Olympics. The incentive award will be made through the Perbadanan Bekalan Air Holdings Bhd (PBA) programme to reward world-class Penang athletes. Despite his defeat to Lin Dan in the final, Dato Lee put in a valiant effort that brought pride to all Malaysians. In the end both Lin Dan and Dato Lee Chong Wei cried, the victor that he could finally prevail over such a worthy opponent and Lee who just missed by 2 points, Malaysia’s first Olympic gold. Even though Dato Lee could not win Malaysia’s first Olympic gold, he has already won an Olympic gold in all our hearts. Press Statement by Penang Chief Minister Lim Guan Eng in Komtar, George Town on 3.8.2012. BN Is Dishonest And A Political Cheat For Playing The Double-Faced Game Of Opposing The Privatisation Of Penang Port And Yet Allowing Seaport Terminal Sdn Bhd To Finalise The Takeover Of Penang Port By December This Year. BN is dishonest and a political cheat for playing the double-faced game of opposing the privatisation of Penang Port on the one hand and on the other hand allowing Seaport Terminal(Johor) Sdn Bhd(Seaport) to finalise the takeover of Penang Port by December this year. Unfortunately, it would appear that the federal government has given a letter of award without disclosing any details and providing any assurances to Penangites on the future of this public good. The BN federal government must come clean on the Penang Port privatisation exercise by confirming Seaport’s director Datuk Mohd Sidik Shaik Osman statement in the New Straits Times on 2 August that Seaport has already received the letter of award and will be in charge by the end of this year. In that case what is the point of BN Penang opposing this privatisation exercise but is another fait accompli that not only deceives others but also oneself? DAP Calls On The Attorney-General And The Federal Government To Withdraw The Charges against Rafizi Ramli In Order To Restore Public Confidence In BN’s Commitment To Protect Whistleblowers And Expose Corruption As Well As To Promote Public Integrity And Leadership. PKR strategic director Rafizi Ramli, well-known for his recent exposés in the RM250 million National Feedlot Corporation (NFC) “cows and condos” scandal, was arrested and charged yesterday over alleged violations of the Banking and Financial Institutions Act (BAFIA) in exposing banking details relating to the NFC scandal. Press Statement By DAP Secretary-General And MP For Bagan Lim Guan Eng In Kuala Lumpur On 2.8.2012. DAP’s Consistent Opposition To Hudud Is Clear But Malaysians Will Determine Which Is More Extremist – UMNO That Wants To Impose Hudud On All Including Non-Muslims or PAS That Wants To Implement Hudud Only On Muslims. DAP’s consistent opposition to hudud is clear but Malaysians will determine which is more extremist – UMNO that wants to impose hudud on all including non-Muslims or PAS that wants to implement hudud only on Muslims. DAP’s co-operation with PAS under PR is principled in not just agreeing to disagree on hudud but also that any future PR Federal government is not about implementing an Islamic state or hudud.